Glen Rock Gem! This completely updated colonial on a quiet tree lined street feels like home the moment you walk through the door! An inviting entryway opens to a beautiful living room and dining room with hardwood floors, natural light and charm. The eat in kitchen features new stainless steel appliances, granite countertops and lovely cabinetry. This opens to a spacious family room with access to the patio and yard, creating the perfect space to entertain. Upstairs you will find a spacious master bedroom, 2 additional bedrooms and newly updated stunning full bath. Heading downstairs the finished basement provides yet another living space with a family room, office/guest room and a full bath. 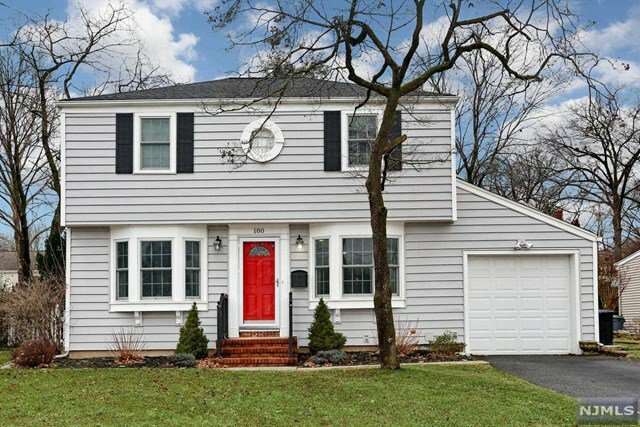 With brand new central air, an attached garage and charming curb appeal there is nothing to do but start enjoying all that Glen Rock has to offer! Relish in the close proximity to top notch schools, a bustling downtown, and NYC transportation! Don't' miss this gem!